What a great day to rejoice in one of Holy Mother Church’s most popular saints, even among those who are neither Catholic nor Irish. It’s said often that everyone is Irish on St. Patty’s day. I think we can also say everyone is somewhat Catholic on St. Patty’s day. Many don’t know the story of St. Patrick. He was born in Britain and had Holy Orders in the blood; his grandfather was a priest and his father a deacon. Irish pirates captured Patrick sometime when he was in his teenage years and he worked as a slave in fields for many years. He reasoned that in his status as an enslaved man, God was punishing him for a life not devoted enough to the Church. He resolved to address this as soon as he was once again a free man. Six years of enslavement later, Patrick escaped and made it home (Britain) after quite a difficult journey. Once home, he remembered the promise he made to increase his devotion to Mother Church and so he began studying for the priesthood. He was ordained several years later. Though he knew Patrick wasn’t the best of the class by any means, Pope Celestine I sent Patrick to northern and western Ireland to spread the Gospel there–where it had never been before. The Druids were known to be violent in their efforts of protecting the lands and tribes of Ireland from outside “contaminations”, but Patrick knew that he had to make it in Ireland to make his case to the leaders of the tribes. The prayer worked. The Druids did not see Patrick and his men pass, and in fact mistook them as deer! As soon as Patrick got to the chief, he took quite a liking to Patrick. After his conversion, Christianity took root in Ireland. He converted the people, ordained many priests, and brought the Church to a land that for the rest of time has enjoyed the reputation as a Catholic capital of the world. 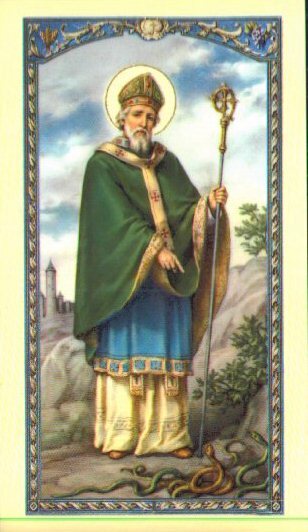 St. Patrick: Pray for us! 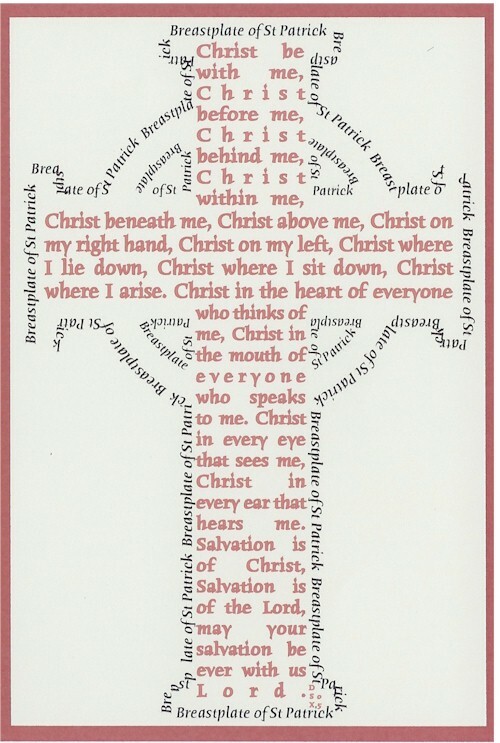 The text of the prayer can be found all over, such as on this page.